30 years of experience as a family and divorce lawyer, and after having handled a multitude of cases in front of many judges, and against prominent opposing counsels ---- Paul Rudder has a very realistic view of the legal process. Paul Eric Rudder has been accepted to The National Advocates: Top 100. This is an exclusive invitation-only organization and is limited to only 100 members representing the top lawyers in the country. Each client represented by Mr. Rudder receives personal attention from the beginning to the end of the case. Mr. Rudder handles all legal aspects of each case. Paul Rudder is the premier NYC divorce attorney, and the media agrees too! He's had appearances on places such as COURTTV, and many others, in addition he's a trusted name, and brand. Paul E Rudder, ESQ is a top-rated divorce lawyer in New York City dedicated to providing exceptional legal representation and cost-effective legal services to clients. He is one of the most highly regarded Matrimonial Attorneys serving Clients across NYC. He has been selected as “Top Lawyer” in Divorce Law field from 2007 to present by New York Times Super Lawyers Section. He was also appointed to New York City Bar Association Matrimonial Committee as of August 2015. He is also a top-rated lawyer on Avvo.com in the divorce category. Having handled thousands of divorces and family matters, Mr. Rudder differentiates himself by always placing his clients’ needs before his own. He has dedicated his career to creating an effective action plan that guides his clients through the complexities of the divorce process and gets desired results. 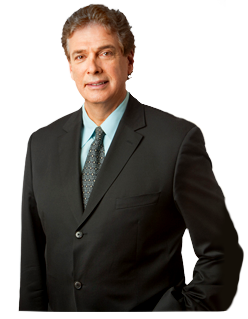 Rated among the best divorce lawyers in NYC for his outstanding credentials and track record, Mr. Rudder is recognized for his knowledge and expertise of the judicial system, helping clients understand and prepare for potential outcomes that may arise along the way. He works proactively and diligently to protect the rights and interests of his clients. Because of the diversity of cases he has been involved in, he was selected as a frequent Analyst and Commentator on Court TV ("10 years" as a Matrimonial and Divorce expert). On the show, he discussed and commented on a number of legally controversial as well as high-profile celebrity divorces. What are grounds/requirements for divorce in New York? Until very recently one could only obtain a divorce in New York by either establishing and proving various allegations of fault (various bad faith acts) against one of the parties or having fully negotiated and executing a formal Agreement and thereafter living separate and apart pursuant to the terms of the agreement for at least one year and thereupon either party making application to the court for a judgement of divorce. However, for the last 2 years, New York has joined the other 49 states in allowing either party to obtain a "no fault" divorce so long as one of the parties under oath states that for the previous 6 months the relationship between the parties has been irretrievably broken without a reasonable expectation for reconciliation. In this instance, while there is no defense to the claim of a broken marriage, the entry of judgement of divorce must be held in abeyance until all financial and family matters have been either resolved by the parties and set forth in a written agreement, signed by the parties, or a judge of the Supreme Court has made findings and determinations of these issues. What type of divorce cases do you handle? I represent parties in actions to dissolve their marriage in which they seek not only to terminate the marital relationship but also seek to fix his or her financial rights, duties and obligations and rights to custody/access of the children of the marriage. In addition, as a New York divorce attorney, I negotiate on behalf of my clients and seek to resolve amicably and with minimal Court intervention terms and conditions which allow the parties to expeditiously settle their various competing claims and thereby allow them to move forward with a minimum of anguish and financial expense. Which New York City courts do you work with most often? I work with Supreme Court in the five counties of New York City and the Family Court within same counties. Occasionally, I assume responsibility for representation of clients of other counties within New York State. Can I get a divorce without any trial? First, note that divorce judgements are judicial decrees issued by Supreme Court Judges of the State of New York. Therefore, there cannot be a divorce without parties filing a legal proceeding in a Supreme Court in a county in which they reside. That being said, however, the parties are always encouraged to attempt to resolve their differences with the aid and assistance of their attorneys and other professionals rather than the intense emotional conflict of an adversarial proceeding in a court room preceding a finding and judgment by the Judge. It's up to the parties to determine whether the dissolution of their marriage shall be heatedly contested in an open courtroom or privately resolved after good faith negotiation and resolution. What takes place during the initial consultation? The prospective client is asked why he/she is visiting my office and what is his or her understanding of the marital problem and difficulty; and I begin to gather background data on each party, children in the marriage and the general overall picture of the family's financial resources. This is an opportunity for the client to ask any question that he or she has as pertains to the divorce process. How do I best get in touch with you? The best way to get in touch with me is by phone or email. Any interview or consultation will only be conducted in my office. These meetings are confidential. What trains are closest to your office? The nearest trains to my NYC divorce firm, are 4, 5, 6 as well as N, R, W as well as F.
30 YEARS OF EXPERIENCE as a Family and NYC Divorce Lawyer, having handled multitude of cases in front of most matrimonial judges and with many prominent opposing counsel, Paul E Rudder has a very REALISTIC view of the legal process, issues involved and possible and likely resolution. Initial Consultation Fee - $350. Call or Email this office to make an appointment for a consultation. Each client represented by Mr Rudder receives PERSONAL ATTENTION from the beginning to the end of the case. Mr.Rudder personally handles all legal aspects of every case. Paul Rudder has strong CONFLICT RESOLUTION skills. He has a unique ability to bring conflict between parties to a successful resolution. He has strong negotiation skills, wisdom and integrity which serve his clients well. Having appointments from judges and peers to act as a Legal Guardian for Children in highly contested divorces gives Mr. Rudder a particular expertise in CHILD CUSTODY matters. Mr. Rudder has gained RESPECT and ENDORSEMENT from peers and judges. His sensitivity and integrity matched with his particular legal expertise with child custody issues are the reason that peers and judges appoint him as a Legal Guardian for Children in highly contested divorces. He was selected by peers as a Co-Chair of Matrimonial Section of NY County Lawyers Association from 2001-2004. Mr. Rudder is an OUTSTANDING LITIGATOR and has a solid understanding of personal ASSETS, FINANCE and BUSINESS issues. He offers legal guidance and fair and realistic assessment of conflicting claims, rights and responsibilities. He obtains favorable results for thousands of clients which is why most of his referrals are from peers and clients. "Paul is a great divorce attorney and I will recommend him highly. Unfortunately not everyone is happy when going through an extremely stressful process of divorce. Paul was very understanding, thoughtful, and experienced. He gave me invaluable advice and guided me through very difficult period of my life not killing me with legal bills at the same time. I recommend Paul highly to anyone who does not only want a quick and easy resolution of the case but also wants a friend." - Natalia B. "I was referred to Paul and I'm glad I found him at the worst time of my life. I found him very responsive and knowledgeable but most of it, he's very concerned by my situation. The case was resolved in my benefits in a little more than a year and during that time he was always available to take or return my calls to answer all my questions. Very knowledgeable in his field of expertise. I knew all along all my options and Paul always listened to me, the way I wanted it to be done and did all his best to defend me and succeeded in the outcome of this situation. I will gladly recommend him to anyone looking for the right lawyer." - Jean L.
Especially convenient to Clients near the Upper East Side, Midtown Manhattan, Grand Central, Midtown East, Times Square, Downtown, the 5 Boroughs of New York City, and Westchester.